You don’t have to be a farmer to raise chickens. More and more people living in the suburbs now are raising chickens to insure quality of eggs and meat and see to the humane treatment of the foul. 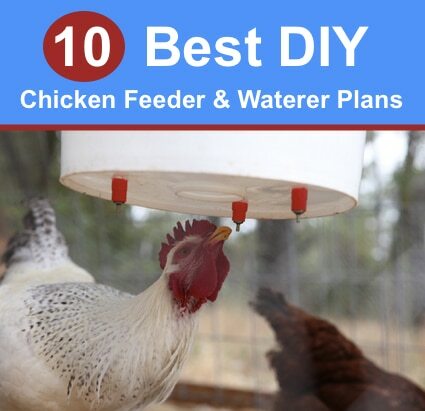 Wherever you live, you’ll want an efficient setup for your chickens to make sure they are safely housed, fed, and watered. You’ll also want to make sure that your coop is easy to clean and maintain because this will mean less work for you in the long run. We’ve seem some pretty outstanding coops and setups. One of favorites still is a re-purposed trampoline into a chicken coop. Whatever style of chicken house you build or buy, you’ll need feeders and waterers installed. Check out The Poultry Guide’s 10 best chicken feeder and waterer plans for inspiration.